Do you have dependants? 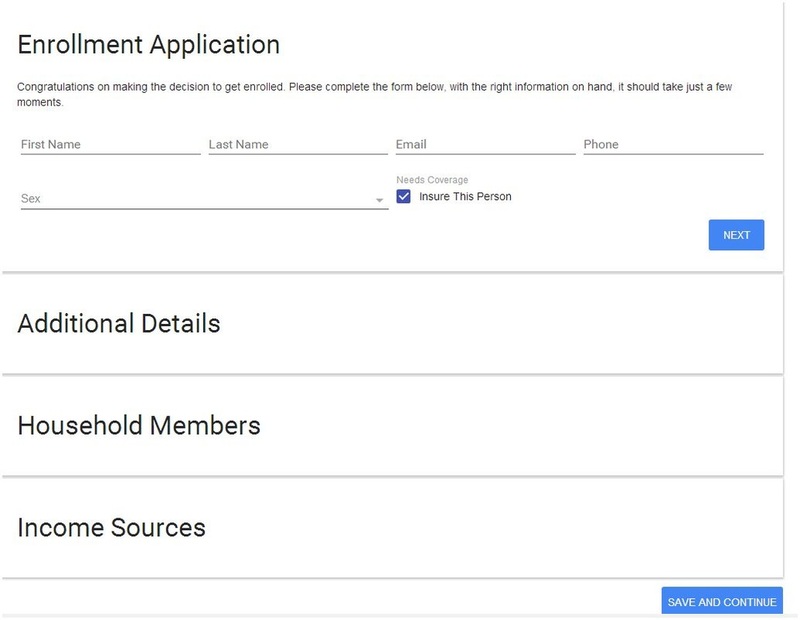 Don't forget to add them by clicking on Applicants. Want to compare a couple of different plans Side by Side? Just click "Add Quote" (right side of screen) on the plan you'd like to view, and repeat for each plan. Okay, let's Enroll! WRITE DOWN THE NAME OF YOUR PLAN - YOU'LL NEED IT WHEN YOUR ENROLL. 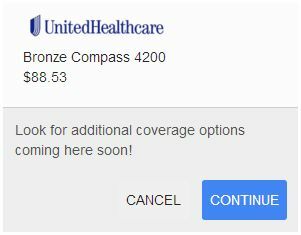 Click the ACA Express button. 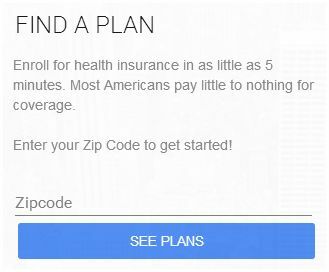 Type your Zipcode and click the blue "See Plans" button. 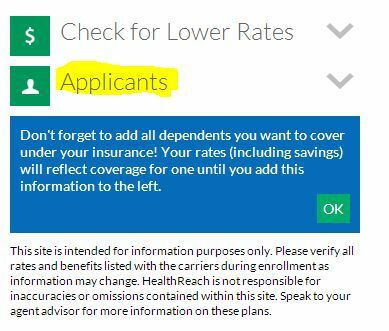 Once you fill out the information below, a list of plans will show up. Find the plan you want and click the blue "Select" button.